Prices, Specifications and Materials are subject to change without notice. E.O. & E.
Each of our homes are individual in character, and designed into their local community. This home is set near Canada's newest National Park which abounds with walking and biking trails, parks, and other community features. 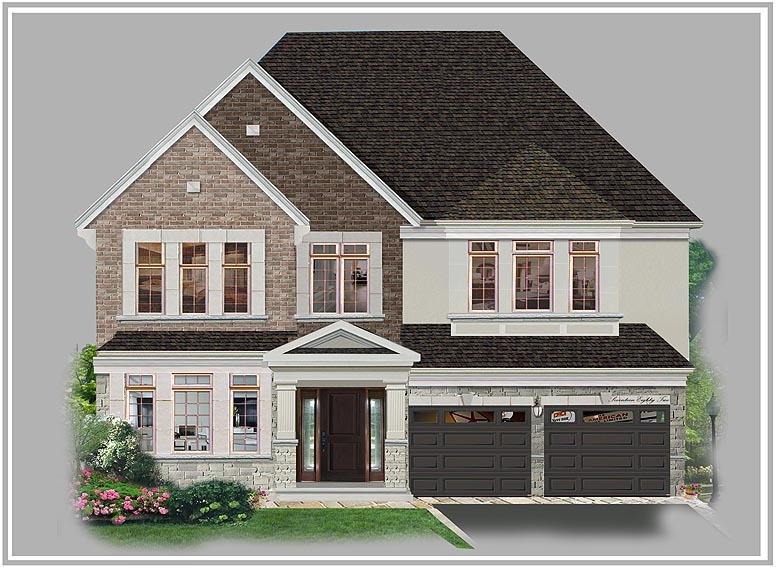 Inspired by Pickering's rich heritage, Bellviso at 4291 sq. ft., is located just a short walk from the park. This home boasts five bedrooms, five bathrooms, Coffered & Waffled ceilings, 3 car garage Built in appliances and so much more. Wynsum's quality features are always other's upgrades. In this home like all our homes, the discerning buyer gets so many more features without the added cost.